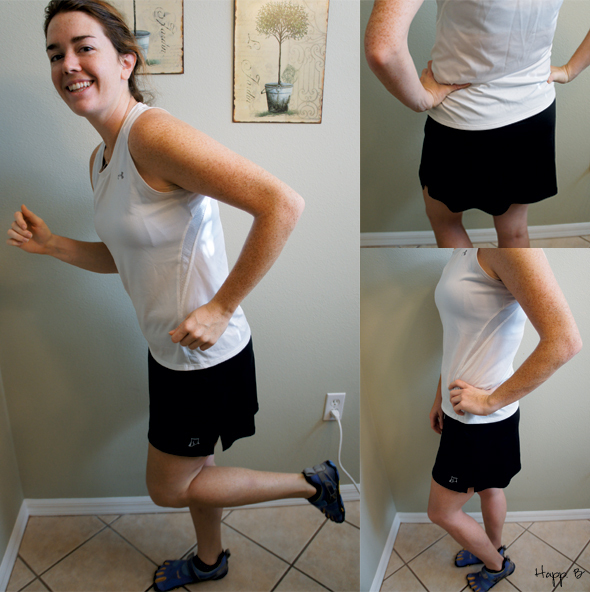 Last weekend, I purchased a running skirt. I saw their usage as a flattering cover-up but never thought I would wear one. Until the marathon. There I was, at mile 14, wondering how many runners in t-shirts saying, “Runs on Plants” I’d seen when I approached a pack of women in running skirts. Their skirts were the pleated lululemon ones. I knew I had to have one. While they looked super cute, I preferred a smooth fabric rather than the pleat. I chose a Skirt Sport one. Running in the skirt is great! The shorts underneath are compressing and don’t ride up. The length is perfect. They also have secret pockets on the shorts. I love secret pockets. I felt fast during this morning’s run and that’s what counts. Have you run in a skirt? 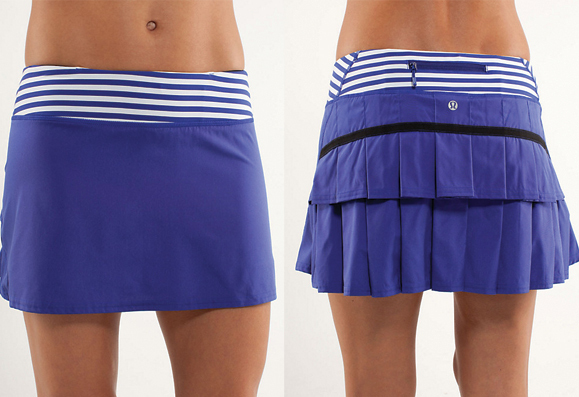 You might like Lululemon’s speed skirt in tall. It’s not as poufy as most of their other skirts and the little bit of length makes me feel less like a twelve year old! Really good over tights too! That’s a great idea! I’m all for reducing the pouf. Thanks!